This little beauty is very easy to make and super good for you. We use it in many ways including stirred through yoghurt, dolloped on top of a bowl of fruit salad or cereal, or simply eaten straight from the jar. 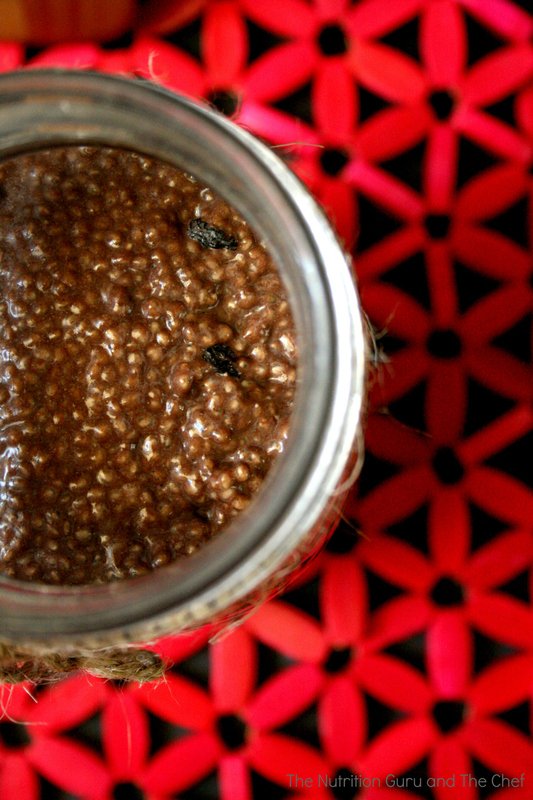 We also take scoops from this chia pudding and add it to our smoothies. It’s gluten and dairy free so perfect for people with intolerances, and best of all it only takes about a minute to prepare! Chia seeds are very high in fibre, protein and iron as well as antioxidants. So, they keep our bowel healthy, can lower our cholesterol, maintain our blood sugar levels, fill us up and give us energy. They also contain Omega 3 oils which are essential for keeping skin healthy, reducing inflammation and protecting our heart from heart disease. 1 tablespoon of chia contains approx 6 grams of fibre which is the equivalent of 4 slices of multi grain bread. When the recommended amount of fibre intake per day is 25 grams (females) and 30 grams (males), a tablespoon of chia added to the diet is a fabulous way to reach that target. Place all ingredients in a bowl, jar or container and stir to combine. Place in fridge so that chia and sultanas can absorb the liquid. After about 30 mins, the pudding should be ready. If it is too thick, simply add more water or milk until it reaches the consistency you desire. I have been on the lookout for recipes with chia, so I think this will definitely make an appearance at our house, and that chocolate cake looks divine! Thanks for sharing. Wonderful Robyn, try Tania’s chocolate cake it’s delish! 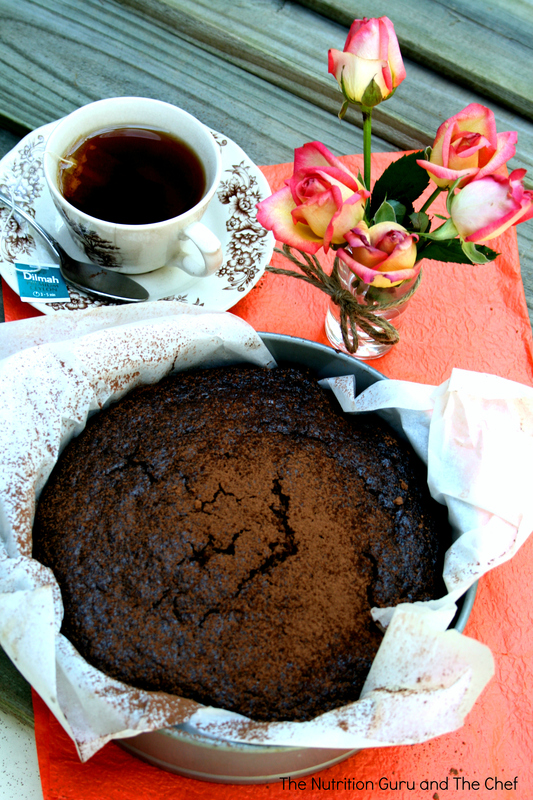 Oh no, I wanted to make the chocolate chia cake again and the recipe isn’t here anymore! Please re-post.